A few years after he bought his cabin, the 2006 floods transformed parts of his property by the stream into a “barren, lifeless, desecrated moonscape”, completely altering the course of the stream and downing hundreds of his trees, leaving behind tonnes of displaced stream bed like gravel and rock. Japanese Knotweed subsequently threatened to overtake the property. The most endearing chapter is all about Sautner’s next-door neighbor, Tim, a born-and-bred local who takes him foraging, hiking all over and teaches him the ley of the land. Tim even offers him his own trees to plant on Sautner’s post-flood land as he embarked on the hard graft of stream restoration to bring back the trout. (“Willows don’t know which way is up,” he writes). This is the best part of moving to the Catskills: welcoming neighbors, friends with a rich history, kindness, community and simplicity. The funniest chapter is the TO DO list which should be at the beginning of the book because there is always something to work on in a house once you’ve committed to the landscape outside. Kitchen renovations wait years. Fixtures age and become disco relics. You will loathe your bathroom, but not do anything about it for a decade. Your house fills up with old wood, compost, dirt, seedlings, books, and all manner of equipment. The moral of this warm-hearted and poignant, yet pragmatically-told tale, which is interspersed with passages from Sautner’s fishing journal, is don’t move here thinking its going to be all bucolic frolic. There will be steep learning curves in what Sautner calls his “rushing, watery classroom” and perhaps a healthy obsession with invasive species like Hemlock Wooly Adelgid, Rock Snot or the Emerald Ash Borer. You will don new caps like Sautner, who became “Guy Who Builds Walls With Rocks”. “Sleep here comes quickly and deeply,” he states, but when you’re awake here, you’re awake. Fly fishing season starts in the Catskills on April 1st. I wish you all tight lines… Watch the Esopus Creel website for details on Stephen’s book signing event. 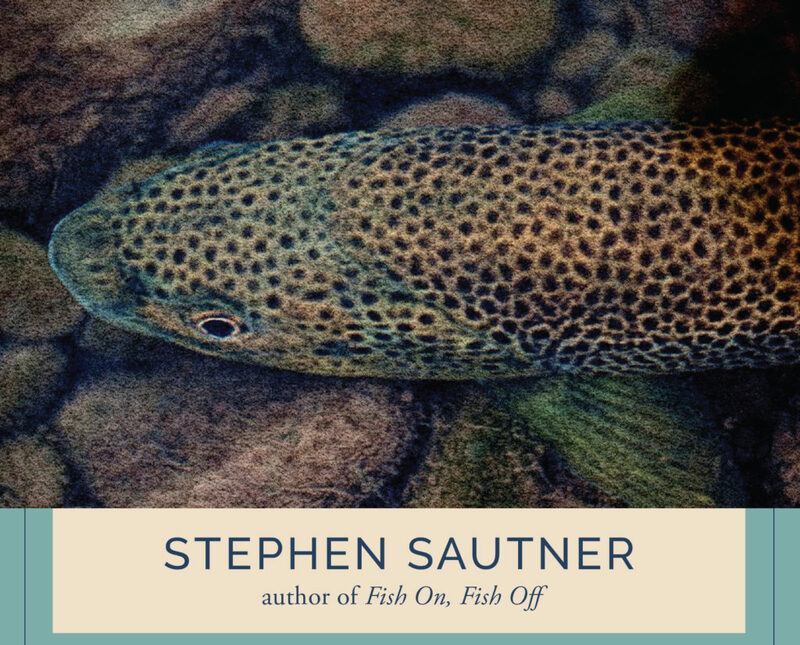 Stephen Sautner is author of the acclaimed Fish On, Fish Off and editor of Upriver and Downstream, an anthology of fishing stories from the “Outdoors” Column of the New York Times, where he has been an active contributor. 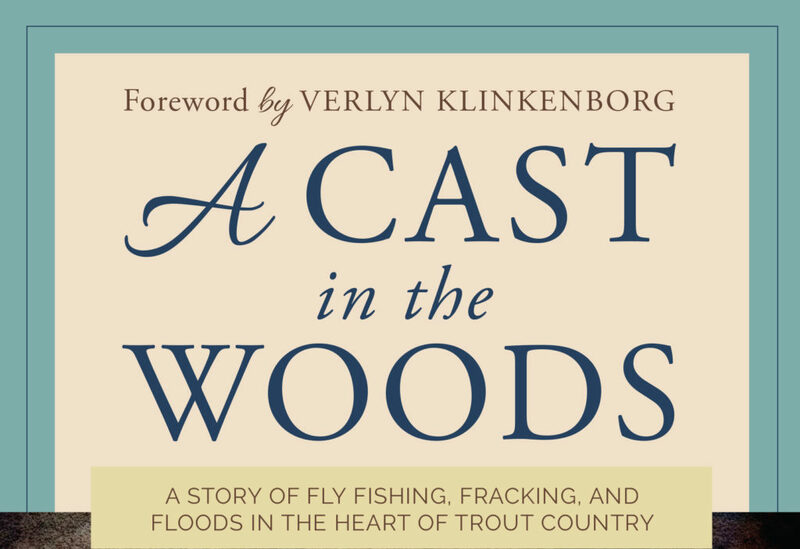 His stories have also appeared in The New York Times Magazine, Fly Rod & Reel, Angler’s Journal, Outdoor Life and Underwater Naturalist. He is the director of communications for the Wildlife Conservation Society at the Bronx Zoo, where he publicizes the Society’s conservation programs. He lives in New Jersey.